We got the amazing oppertunity as the first class at NWMA ever, to get a pro class day in facecharts! This, I am extremely excited about. 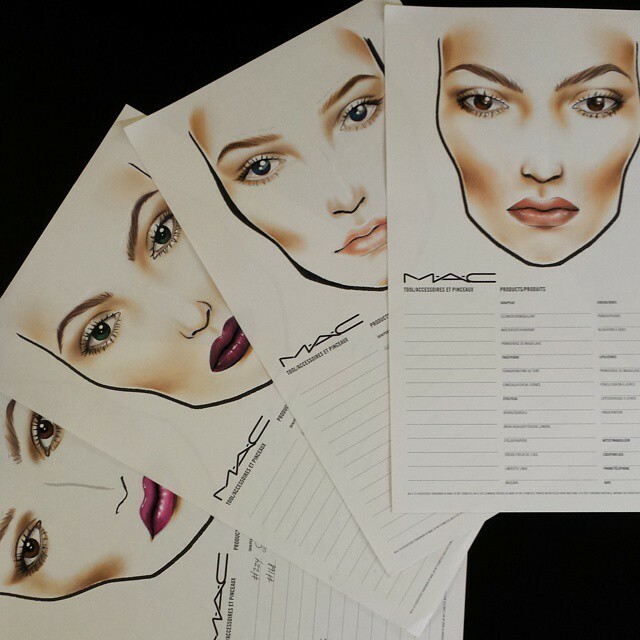 As a MAC fanatic I know how deligently they use facecharts for new collections, for costumer purposes and much more and I've been wanting to practice this for so long! The fact that we are going to get a whole day with one of Denmarks absolute best "facecharters" to come and teach us all about it, is something I thought I could only hope for but actually ended up getting! 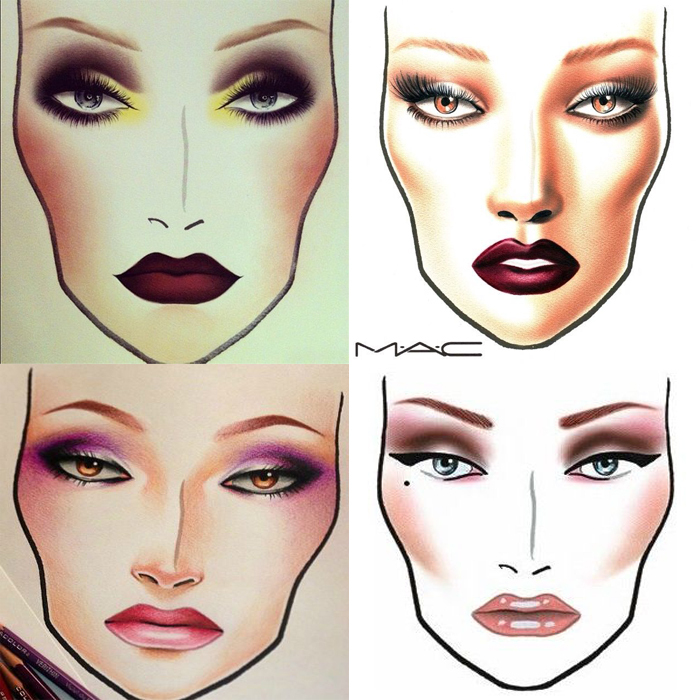 Nicci heard, that a lot of us girls at school was interested in learning about facecharts and therefore she contacted the MAC Pro Store and asked if the guy who is so great at it, Peter, wanted to come and teach us. I am so happy, that she made this happen for us! Here's some of Peter's facecharts, stolen from his instagram account. Doesn't it all look absolutely stunning! I am pretty sure it is going to be really hard but also really fun! If my facecharts are not too ugly, I might post the here later on, haha.